Tired of them all. All these rants is for their personal gain. The North go show him their true colour. 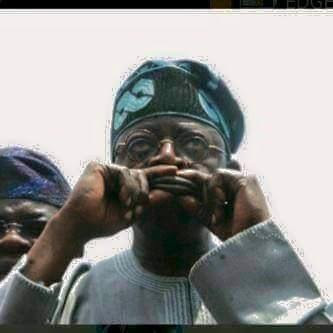 I even prefer Tinubu to the puppet. Hypocrite who parades as a man of God. Anon 9:09, Welcome Kiki, I know you and your siblings visit this blog. The day the wrath of God will visit your household is coming. God can never be MOCKED! As your mouth and fingers are flying here supporting your Dad, Direct same and advise your Father, My parents listen to their kids. I'm ashamed, you guys can't talk to your parents. Osibanjo is a hypocrite; take this to the BANK! Thought southeastern turn to produce 2023 president. Sidon look na dog name. Nobody from the south west can win a general election in this country in this very decade, don't let anyone deceive you it can not happen. Enter your comment... nobody from Southwest can win a general election in this country in this very decade.